LARGO, Fla. - Jan. 20, 2018 - PRLog -- Electric Vehicle Mall is participating in the hot new Fat Tire electric bike trend that is taking cycling to new heights. A subdivision of mountain bikes, these fat tire e-bikes, called Fat e-Bikes, are breaking the mold permitting enthusiasts to ride any time of year. 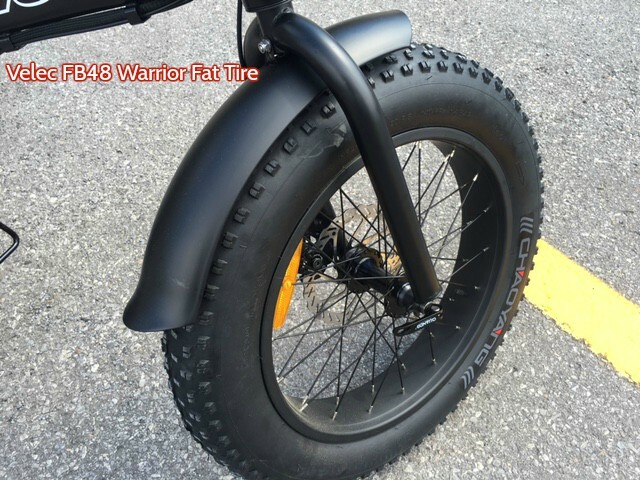 The fat tires, almost 4 inches wide, provide a stable platform to travel over a variety of surfaces including snow, sand, mud, and rough terrain. According to The NPD Group, Inc. in an October 3, 2017, report, "There is also growing popularity of electric bicycles sporting fat tires (Fat e-bikes). Less than $500,000 in sales two years ago, Fat tire bikes now exceed $2.5 million in sales." Once a novelty, Fat e-Bikes and riding them in snow is becoming the norm. From the northwest to the northeast, ski resorts and Alpine recreation areas are embracing the Fat Bikes and Fat e-Bikes opening their snowmobile trails for these cyclists. As the climate changes, average winters are becoming warmer and wetter. That spells trouble for skiers and snowboarders as well as the communities that depend on these snow sports. But bikes with fat tires hold promise for year-round recreation and an economic boom. 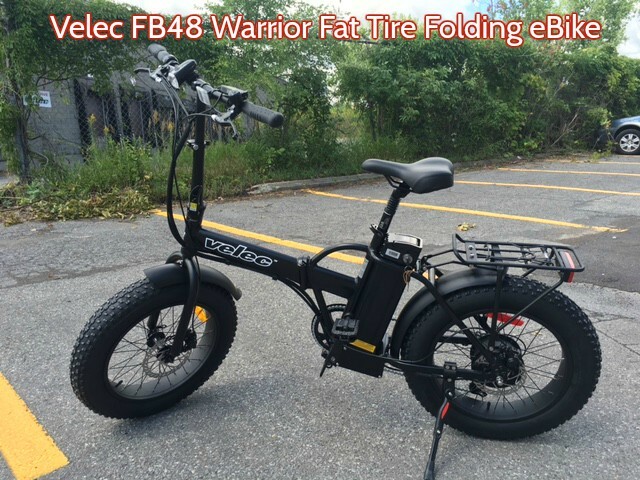 "Our customers are very interested in Fat e-Bikes and particularly like the Velec FB48 Warrior which also folds making it easy to take anywhere requiring less space than a standard bike frame," says Rod Jenkins, Owner of Electric Vehicle Mall. "They are a great ride over our sand and rough nature trails here in Florida, and many of our customers also travel to winter sports destinations where they ride their bikes as well. Sales of e-bikes outside of Florida and warmer climates used to flat-line in the winter, they are now spiking as cyclists can ride the flat tire e-bikes year-round on many surfaces." Reasons to get a Fat e-Bikes include: (A) Fun, easy to ride with lots of surface area for amazing traction so basically anyone can ride it. (B) They are versatile and can be ridden over many surfaces as well as being used for hunting and camping trips. (C) Many choices of folding or regular frames, battery and motor sizes and more. (D) They are not fat but rather big-boned and are not as heavy as they used to be. (E) They offer community such as winter riding groups, summer beach rides and more. 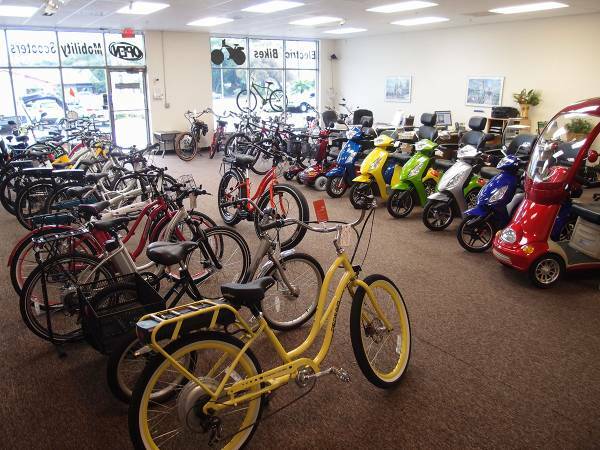 For more information on Fat e-Bikes, what you need to know to find the right one for you, and how to get free delivery to your door call 877-241-2817 or visit https://www.ElectricVehicleMall.com to chat. 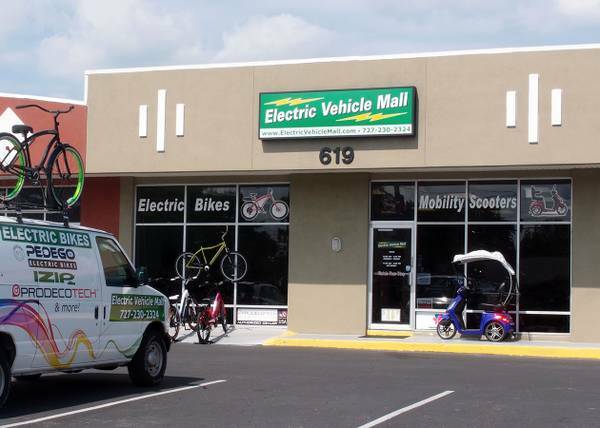 Electric Vehicle Mall, founded in 2008, is a premier online and physical store with a large 2,500 square foot showroom offering the largest selection of electric bikes, mobility scooters, tricycles, standup scooters, parts and accessories in the Tampa Bay area. The online store features fast, free shipping and delivery on most vehicles to the 48 contiguous states. They are honored with an A+ Better Business Bureau rating. 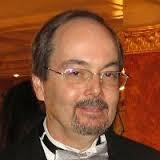 Their mission is customers who are truly thrilled with their purchases having fun and enjoying increased mobility. For more information visit their website or call Local 727-474-9992 or Toll-Free 877-241-2817.